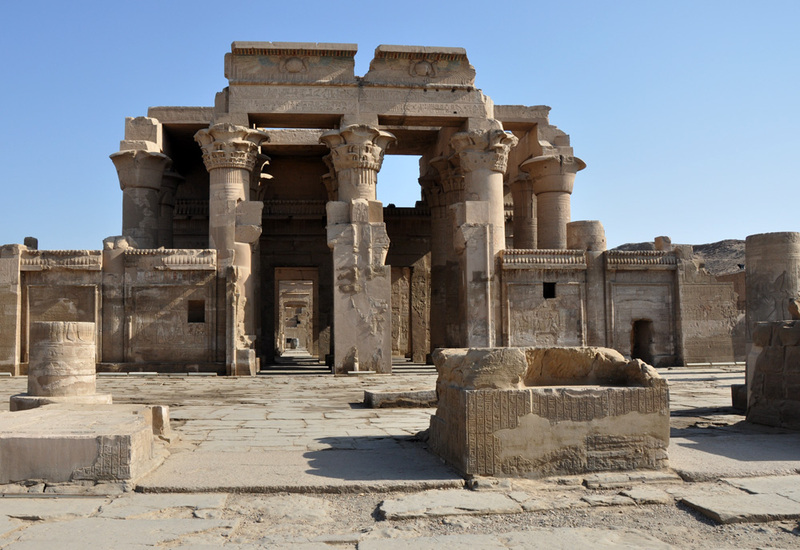 The temple at Kom Ombo stands on the banks of the Nile, around 40 kilometres north of Aswan. 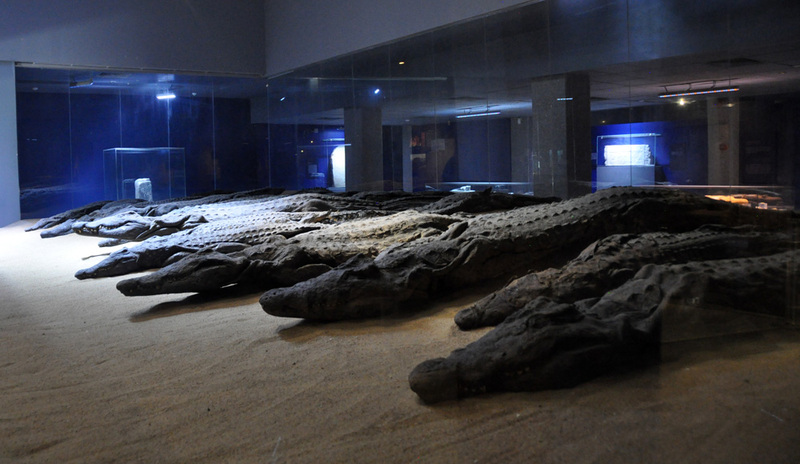 It’s unique, in that it’s two temples dedicated to the God Sobec, the crocodile god, and Haroeris, the falcon-headed god. The two temples stand side by side on a hill overlooking the river – hence the two doors above – built over a period of 400 years between 200BC and 200AD. The first pylon was destroyed in an earthquake but the hypostyle hall remains. 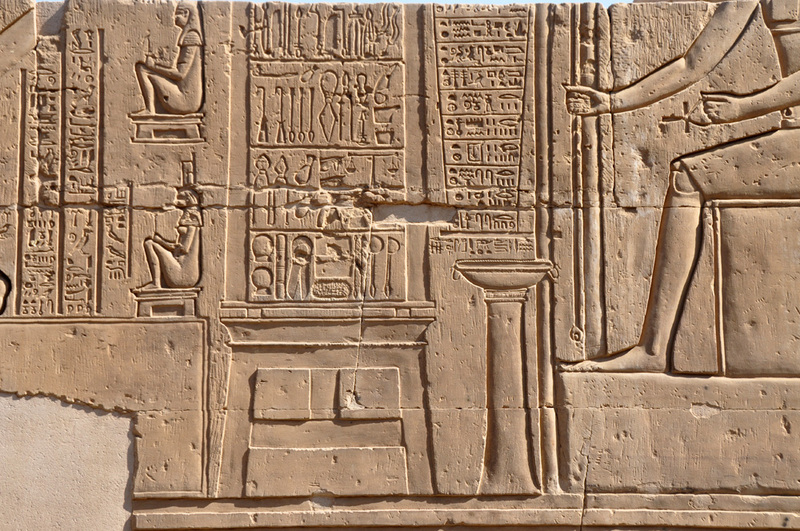 This is a Ptolemaic temple and many of the figures display advanced carving techniques, showing nails, jewellery and more realistic body form, including muscles. The figures still adopt the early conventions though, with feet and legs in profile, the male upper body facing forward and the head in profile. 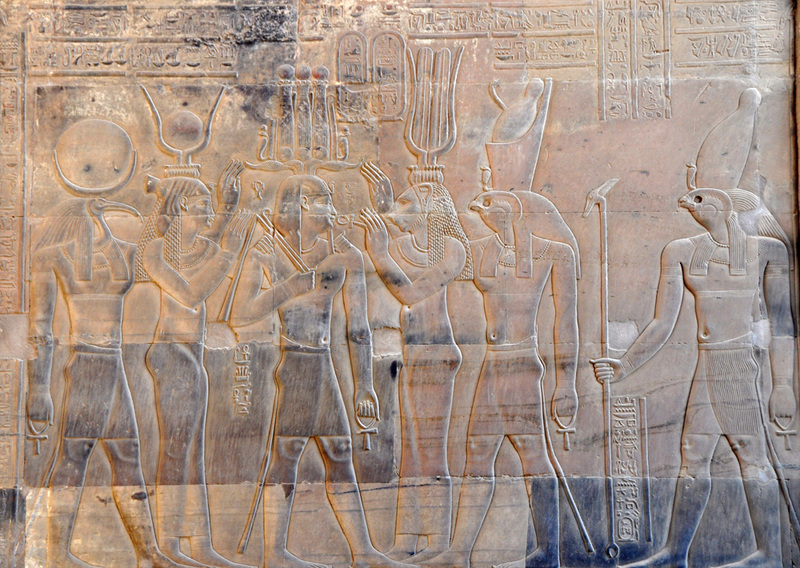 In part of the temple the calendar is depicted in hieroglyphs. The year had three seasons, and twelve months of 30 days each. To that they added five feast days, making 365 days. Every fourth year they added an extra day, to give 366 days, equivalent to our leap year.